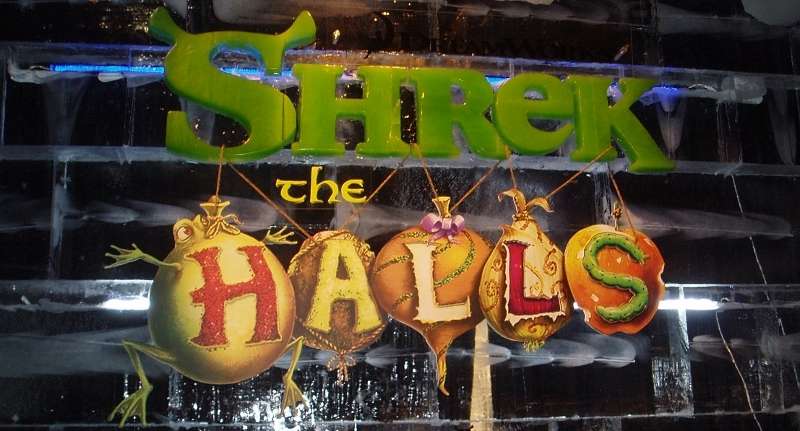 Shrek the Halls at 2012 ICE! 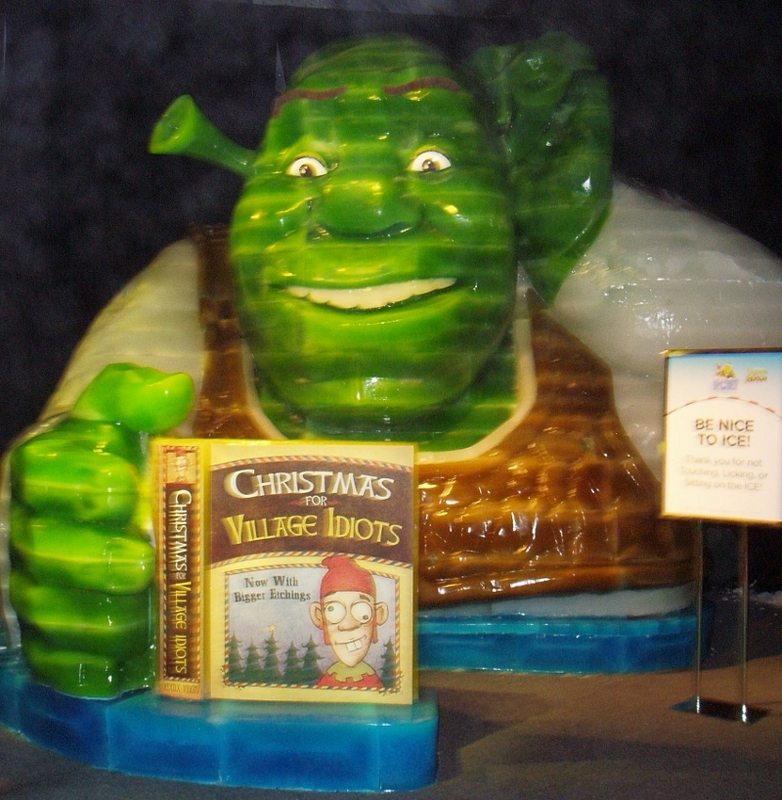 Shrek The Halls at Gaylord Palms' ICE! Shrek Consults "Christmas for Village Idiots"
After checking into our Florida Dream Home on December 1st for our Christmas trip to Orlando, we arrived at ICE! 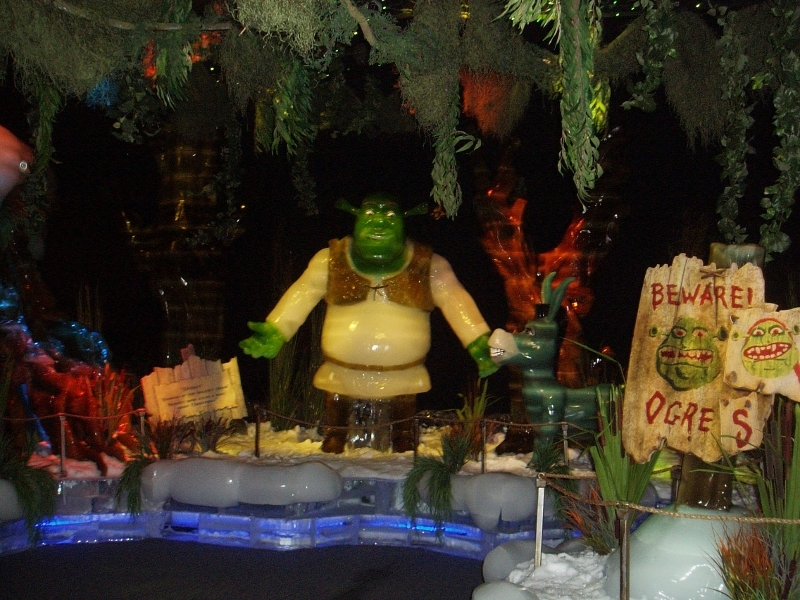 Shrek the Halls at the Gaylord Palms hotel. We were not alone as several tour buses were also unloading to see the show. However, it was a large exhibit and did not feel crowded. ICE! 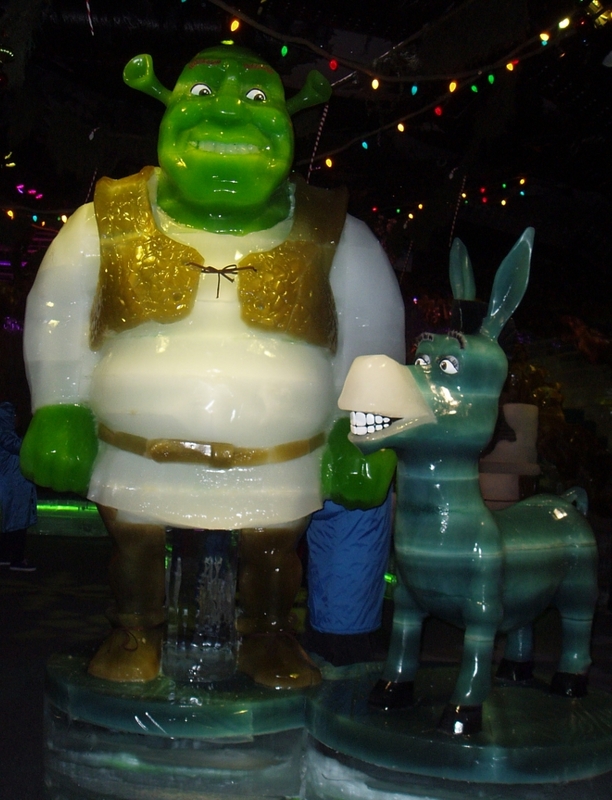 is the Gaylord’s annual ice sculpture display, with this year’s theme featuring king size sculptures of Shrek and all his friends. The display is crafted from 200 tons of ice and is breathtaking. 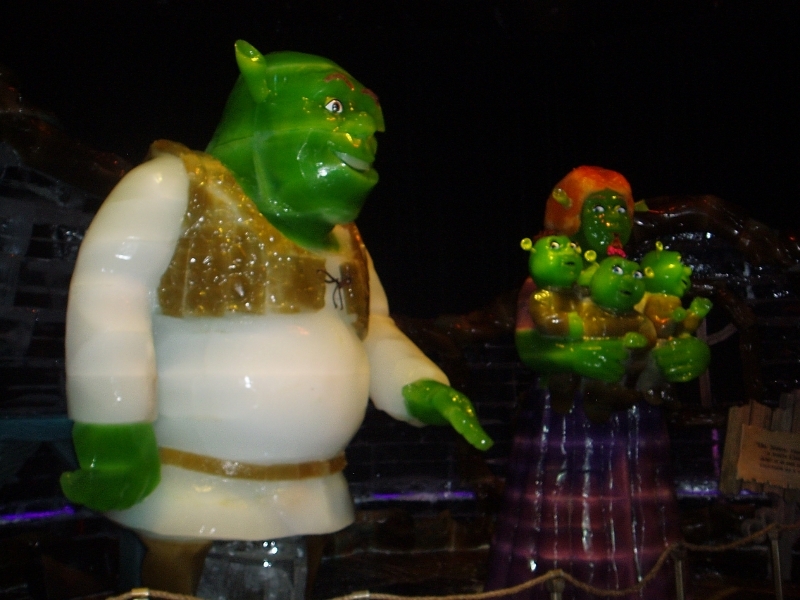 The accompanying storyline is based on a 2007 holiday TV special titled “Shrek the Halls.” A pre-show video that recaps the TV show explains that Shrek’s friends are coming to Shrek’s house for the holidays. Traditional Christmas customs, however, are foreign to Shrek who is seen reading the “Christmas for Village Idiots” book to get up to speed. After the pre-show video, everyone is outfitted with full length parkas to ward off the 12 degree temperatures before entering the exhibit. 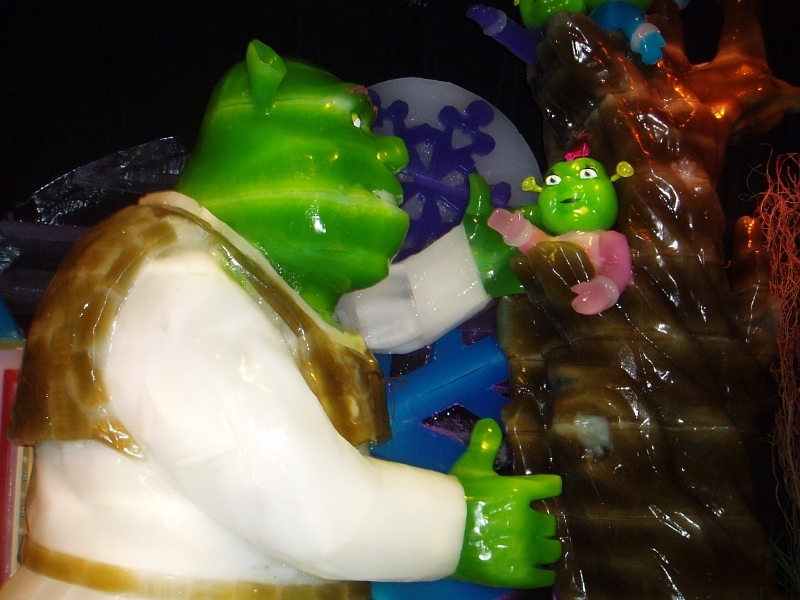 The show winds its way through many scenes containing full color life size sculptures depicting Shrek preparing for Christmas. The “Christmas for Village Idiots” book provides a step by step guide to the holidays, including finding the perfect tree, decorating for the holidays and preparing the Christmas feast. The various scenes depict Shrek employing the Idiot’s Guide in his own unique manner. 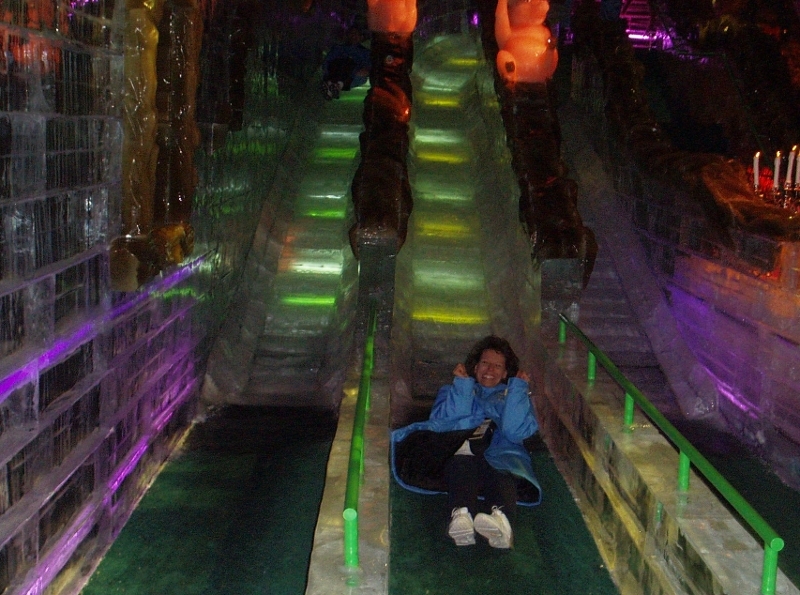 The final scene of the Shrek section ends with giant ice slides available for use by all spectators; just pull your parka down low to avoid a wet rear end! 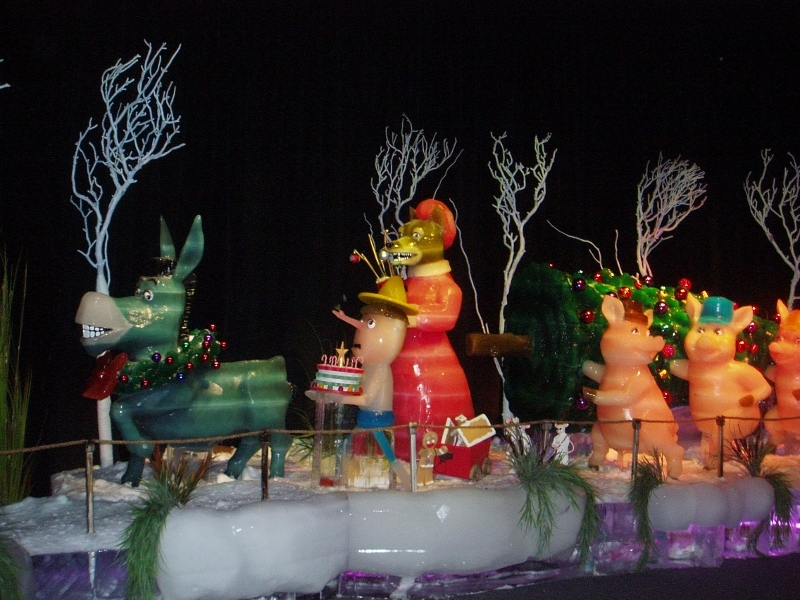 In sparkling contrast to the colorful Shrek sculptures, the final exhibit is a nativity scene, with ice versions of Jesus, Mary, Joseph, wise men, shepherds and assorted animals. Gaylord Palms is also running a companion show to ICE! Called Kung Fu Panda Awesome SNOW. 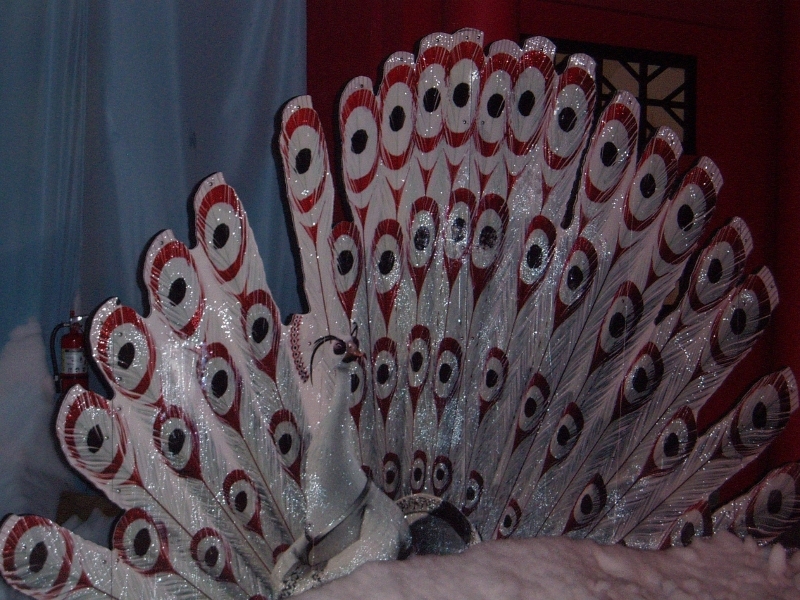 This seperately charged attraction is set during a winter carnival, has Asian architecture and 150 striking red lanterns dangling from the ceiling. 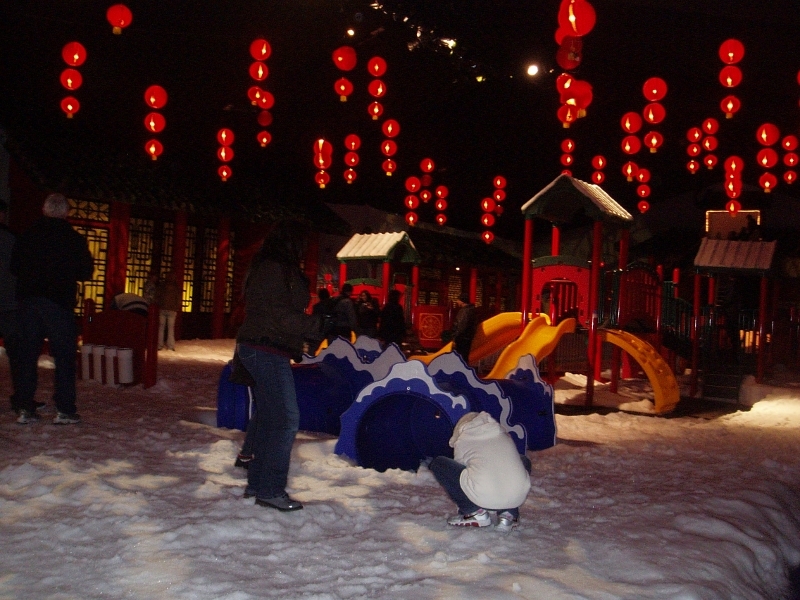 It serves as a snowy playground, complete with snowball fights and is perfect for the youngsters in your party.